This is our second post for today. Please scroll down for the first one. 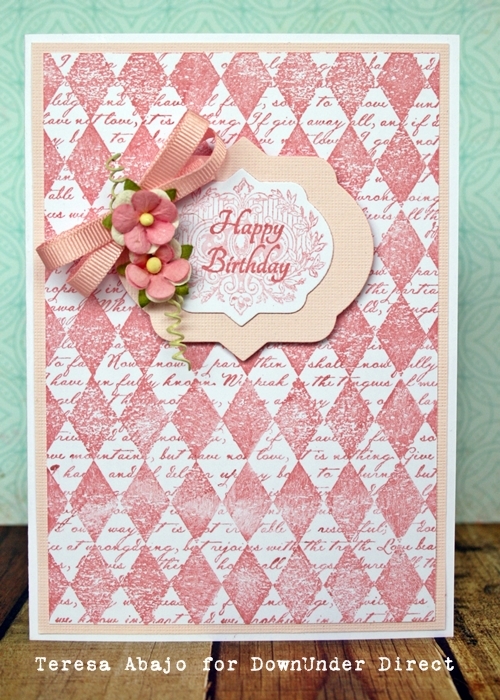 "Harlequins are such a strong geometric pattern, so I chose a pale pink ink for this background. 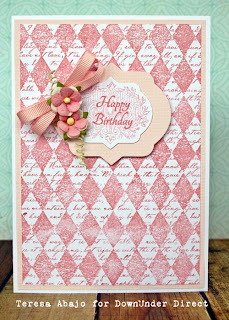 I love that these stamps are large enough to cover an entire card front."